Digital media offer a wide range of possibilities to bring out the relationship between sound and image, allowing music to be experienced as a full audiovisual experience. 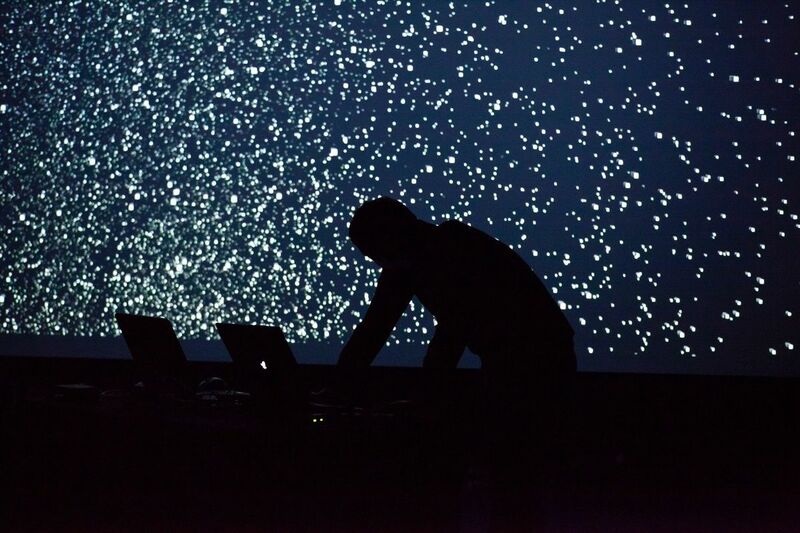 From 360° projections to mapping or light architecture, multimedia artist Maotik masters the art to sublime live music through image and light. This masterclass will teach you techniques to analyse sound features such as frequencies, tempo and other music gestures. By using software such as Ableton Live, Reaktor and Max for Live, you will learn how to break down a music composition for visualisation purpose. Sound data will be communicated through OSC to TouchDesigner in order to process reactive generative visuals. During this demo, you will also learn how to build a user interface or connect your Midi controller to manipulate your effects and perform live.